I would consider myself to be a modest couponer. I am cautious about the sales and coupons available but do not go overboard stocking my cabinet with 20 bottles of ketchup just to save money. Here are six couponing tips that will help you save money without spending all of your time dumpster diving for coupons. 1. Pick One Store – Unless a store doesn’t have something you need, going to more than one store to grocery shop could be costing you money. The travel time and time in line both go up each time you add a new store to your grocery list. And, since time is money, is it really saving you in the long run? You still have to fuel your car to get to the other stores. 2. Plan Before you Go – Always create a grocery list before shopping that way you know what items you intend to buy. This way, you can grab what you need and then leave. It helps save time and can help you stay focused on your needed items and not your wants or impulse buys. 3. Take Advantage of the Sales – Check the sales paper while you create your grocery list. If an item that you typically buy is on sale, pick up more than you usually would. Even though you are spending more money on this grocery trip, you will be saving money in the long run because next shopping trip you won’t have to buy the item at full price. 4. Get a Rewards Card – Rewards cards can help you gain fuel points to save money on gas, provide store sales, and provide access to coupons. The cards are linked with your purchases so the more you buy an item, the more often you will get a discount offer. My store of preference offers personal prices on items I buy often and runs coupons through this card that you can use up to five times. 5. Download Coupons – Downloadable coupons are a very simple way to start saving money. If you aren’t sure you are into couponing yet, log on to your grocery store’s portal, and load all of the coupons to your card. Chances are some of the items you will be buying are on sale and when you see the improvement in your savings, you will begin to want more. 6. 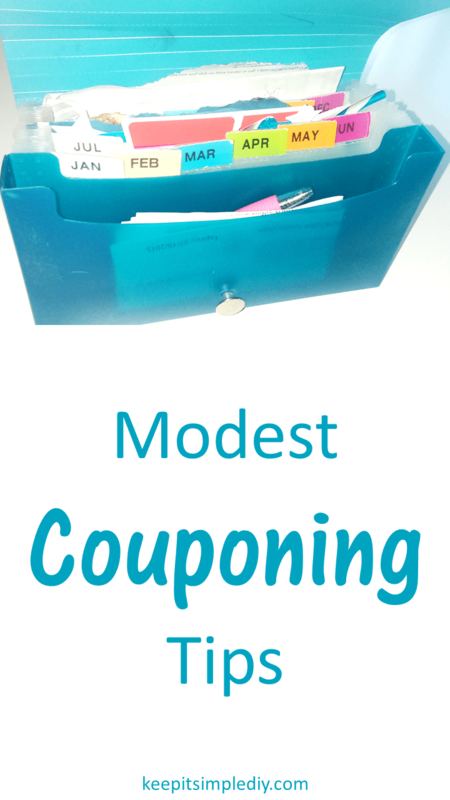 Clip the Coupons – Since you’ve decided you enjoy all the savings, you can head to coupons.com to print coupons or subscribe to the coupons section of your local newspaper. Both options are free! What couponing tips do you have? Thanks for sharing your tips! I know I need to be better about couponing when there are so many great deals you can get! Great suggestions! I wish I could get myself more organized but you have practical tips! I usually go to a few different stores and you're right, it does cost more money. I'm gonna try these tips. Thanks for sharing! Great advice! I never understood stockpiling food that will expire before you can use it! (ie. the 20 bottles of ketchup you mention!). To me that's wasting money, not saving it! Thank you for sharing this over at Bloggers Spotlight Linky Party! I just want you to know that you are my feature for this week! Hope to see you again!